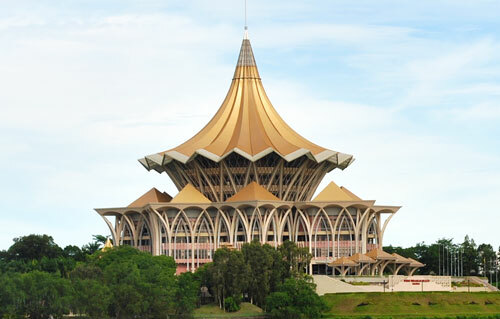 KUCHING: State Legislative Assembly (DUN) Deputy Speaker Dato Gerawat Gala said there was no basis for the call by Padungan assemblyman Wong King Wei to remove Speaker Datuk Amar Mohamad Asfia Awang Nassar from his office. He noted that the Chief Minister Datuk Patinggi Abang Johari Tun Openg as the leader of Gabungan Parti Sarawak (GPS) commands the confidence and support of 72 elected members out of 82 elected members, whilst Wong has only seven elected members of DAP. Therefore, Gerawat said it is unthinkable “for such a call to take place or to be taken seriously”. Gerawat said Wong was referred to the Committee of Privileges for his “offensive, acrimonious and vitriolic remarks made in the Dewan against the Dewan, the Executive and Speaker, thereby abusing his privilege as a member”. “His referral to the Committee of Privileges is consistent with Westminster Parliamentary and Standing Order 89 and under Erskine May’s ‘Parliamentary Practice’ 24th Edition. According to Gerawat, the Committee of Privilege sat on Feb 18 and was chaired by himself. “The Speaker is the chairman of the Committee of Privileges. The definition of ‘Speaker’ includes Deputy Speaker under Standing Order 2 of the DUN Privileges and Powers Ordinance 2007. He said the proceedings of the Committee of Privileges’ meeting is compiled in a report which will be tabled in the coming DUN sitting.